Transform your space whatever the size with our beautiful lantern roofs. Our lantern roofs combine beautiful aesthetics and precise detailing with a superior thermal performance to enhance your conservatory or Orangery installation. Our Atlas lantern roofs will complement any extension, allowing you to enjoy year-round use. If you are looking for increased roof strength, slimmer sightlines and an outstanding thermal performance, then our Atlas lantern roofs are the perfect match. 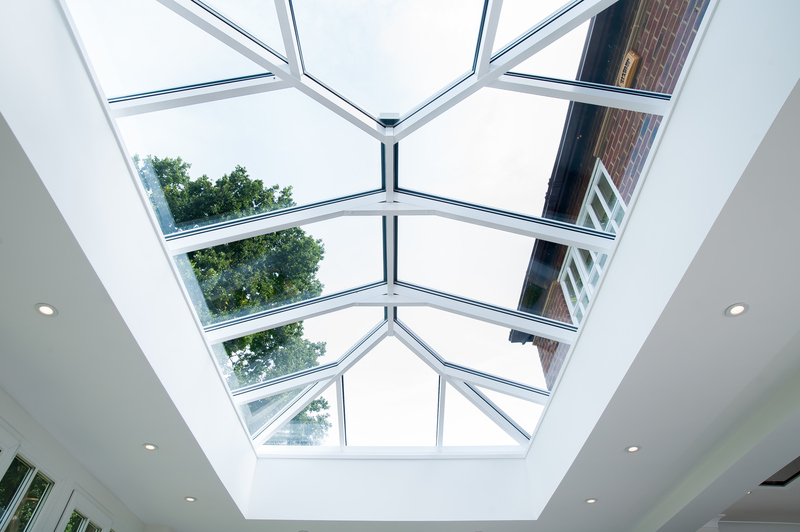 Whether you are replacing an existing conservatory roof or building a new extension, our Atlas lantern roofs will allow you to enjoy year-round room use. With the reduced risk of condensation and superior energy efficiency, the Atlas lantern roof will ensure your extension remains comfortable no matter the season. Benefit from superior strength and performance, without the unsightly chunky frames and supporting bars which other products display. Our roof lanterns will make an incredibly stylish addition to any extension with their super sleek and elegant frames. Our beautiful Atlas roof lanterns have been skillfully designed with super sleek frames which are up to 70% thinner than traditional designs. One of the most energy efficient roof systems in the UK, the Atlas lantern roof will turn your room into a comfortable living space thanks to the exceptional thermal efficiency it delivers throughout the year. If your extension lacks light and vibrancy then you can combine glass and skylights into the ceiling for a brighter atmosphere and controlled lighting. The lantern glazing floods your room with sunlight during the day whilst internal lighting gives you full use of the room at night. A thermal break in ridge and rafters helps prevent cold air getting to the inside of the rafter. Our Lantern roofs are capable of achieving U values as low as 0.95 w/m2k. Our roof lanterns can be made to measure in a range of sizes, colours and finishes, with variable pitch options. Choose from either bevelled or flat external caps made from uPVC or aluminium. Our Atlas roof lanterns have a pressure plated system for extra security. They have also been tested to wind pressure of up to 1.32 KNm-2.